We we have made it, it will soon be time to say goodby to the nice warm weather for a typical Vancouver winter. It is almost sad, the longer days will be a distant memory and it is easy to look back on all of the fun that was this summer. Soon the dark will envelop all. Ok, so maybe it is not quite that dramatic but just think about what lies ahead. Cool nights and a more comfortable, cozy feel, it is the perfect time to call A Catered Affair for your end of the summer office party, block party or even an autumn themed wedding! Think about it. It is generally a time when people go back inside for the winter and disappear until Christmas. There is not a better time to get together. Show your staff how much they mean to you with a fantastic BBQ, show them that is has been an amazing summer! Our BBQ menus are tailor-made for a laid-back social event that can be highlighted by a crackling fire and a juicy steak in the cooling air. Your employees will be talking about the good company and amazing food throughout the winter. Summer is not the only time for a fun-filled block party. If you have a backyard and a bunch of amazing neighbors, A Catered Affair will make your party even more special. A chance to get the neighbors together is always a fun time; just think, after a busy summer it will be good to catch up. 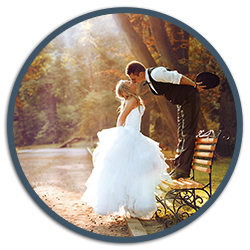 Fall is the ideal time to celebrate your wedding. The weather usually cooperates, it is more comfortable to be in formal wear than at the height of summer, and venues are generally not as booked. Let A Catered affair make your wedding something that your guests will remember! The bottom line is, make this autumn a celebration of your amazing summer, by spending it with good food and good people! Don’t forget to check out our winter menu and book your holiday parties now!